I thought it would be helpful to write a post that captures all of the areas of digital inclusion (DI) that we are working on. Digital inclusion is giving people the skills, access, motivation and trust to go online to do a whole range of things. There are currently 10.5 million UK adults (source: BBC Media Literacy, Nov 2014) who lack the basic digital skills to do this. A growing body of evidence indicates that DI has significant potential to deliver economic, social and health outcomes for both society and the individual. Go ON UK and Booz & Co research estimates that if the UK achieved global leadership in digitisation it could add £63 billion to its annual GDP. Research commissioned by BT estimates the social value for individuals of getting online for the first time at £1,064 per annum delivered through enhanced job searching, saving time and money and reduced loneliness. We want to make sure that everyone in the UK has the digital capability to take full advantage of being online, including small businesses and charities, many of which (around 50% when taken together) don’t even have a website. There is also notable regional variation, ranging from as few as 11% lacking basic online skills in the South-East to as many as 25% in the North East. high equipment costs and access costs are also a barrier to 12% and 11% of households respectively. We have investigated successful local and national digital inclusion initiatives where DI has been embedded and supported the achievement of wider outcomes. Our route map, although created with central government in mind, may help you see how others have approached this. More recently, we have produced three blog posts that highlight not only the five critical success factors (here and here) in delivering effective local initiatives, but also showcased how Cambridgeshire has successfully rolled out a superfast broadband programme and invested in upskilling local residents too. We have developed a Digital Inclusion Outcomes Framework and supporting tools to enable people to measure and evidence the contribution that digital inclusion/skills activity make to better outcomes in areas of policy that matter, locally and across the UK. This will help further build the evidence base, demonstrate the value of digital inclusion activity to individuals, communities and society, and make the case for investment. We’d really like to hear about how digital inclusion is being taken forward in your local area and what you’d like us to focus on in future blog posts. Please do add your comments below. Follow Beccy on Twitter and don’t forget to sign up to alerts to the Digital inclusion blog. I was looking on data.gov.uk for data on digital inclusion and couldn't see anything. Is there any data on the costs/outcomes from the projects that have been run in the year since the digital inclusion strategy was launched that can be opened up? Or anything from the new digital inclusion outcomes framework? The DI Outcomes Framework, which has just been launched, was developed to address the need for exactly the kind of data you describe. We're now working with partners to use the Framework and build the evidence base. We'll be sharing findings as soon as these become available. I can see the intent of the framework - although I'm surprised it's capturing data in non-standard Excel? (1) - but would have expected there to be some data from the work so far. Action 1 in the digital inclusion strategy published in April 2014 includes a list of projects from DWP, MoJ, Cabinet Office and BIS to increase digital inclusion amongst citizens and SMEs whilst Action 3 talks about increase in digital inclusion within the civil service. Is there no data from those projects? Thanks for your comment and interest, Peter. 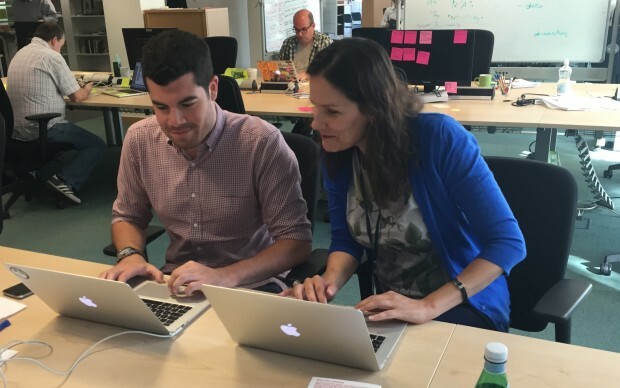 We’re currently working to update the Digital inclusion strategy - we’re talking to new Ministers and to Departments about how they’re embedding digital inclusion into their policies, programmes and services. We’re also working to include digital inclusion data on the Performance Platform - watch this space. We’ll continue to supply updates on what Departments and partners are up to here on this blog. I'm aware of the effort to update the strategy. I have raised a request through the data.gov.uk process (1) to see if that team can find / openly publish any data. It would be helpful if there was an explanation of what the term 'Digital Inclusion' is. Hi Pacajar. Thanks for the comment; it's always helpful to get feedback on how well our message gets across (or not!). All of our posts have a short paragraph at the top right which reads 'Digital inclusion is about having the right access, skills, motivation and trust to confidently go online'. We're always thinking about how we can improve the way we communicate, so thanks again for the input.